Have you got what it takes to bring a show to the stage? 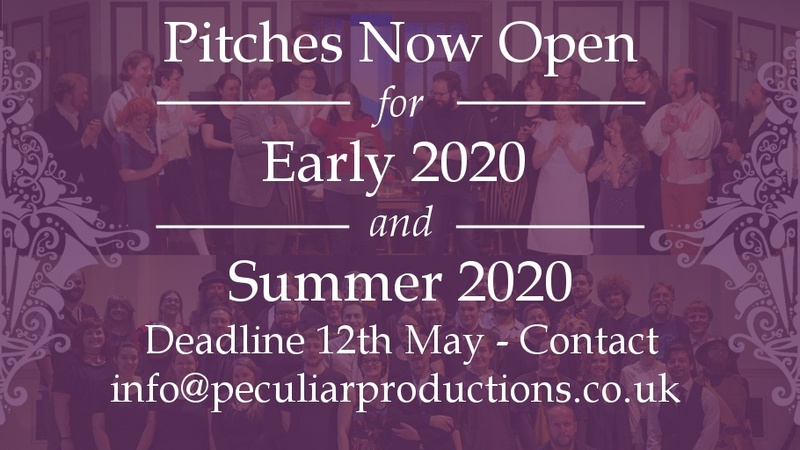 We’re now accepting pitches for our Early 2020 and and Summer 2020 shows, so if you’re interested in directing with our talented and exciting amateur company, we want to hear from you. The deadline for written pitches is 12th of May, followed up by a meeting to discuss your pitch shortly after. If you’re interested in pitching, contact us for more information. Adapted by Stephen Briggs. Directed by Matthew Hitchman. 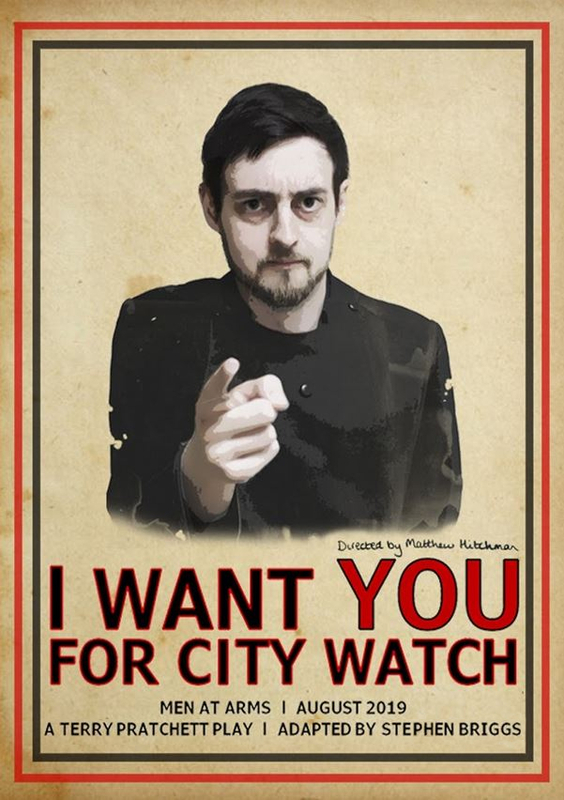 The City Watch needs men! And women, of course. Not to mention dwarfs, trolls, gargoyles, and whatever Nobby Nobbs actually is. Looking forward to our Pratchett production this Summer and want to get involved? Join us on Wednesday 27th February at the Owain Glyndwr, Tair Pluen at 6:30pm to find out what the production team have in store. 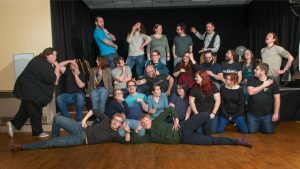 Whether you fancy acting, working backstage, being a creative genius and helping create the Discworld with us or just want to be a part of it, we have a place for you! Audition and crew applications will be available from Wednesday. To get yours, drop us a line using the form below. Audition pack requests are now closed. Thank you to everyone that got in touch. To kick off our Meet the Actor series, we are showcasing Ed who will be playing Valentine Coverly, the mathematically-minded eldest son of the household. Ed recently returned to the stage as Mr Slant in Peculiar Productions’ debut show ‘The Truth’ after five years of co-directing for Monstrous Productions Theatre Company, during which he made a delightful cameo as a vampire desperate for a cup of tea. 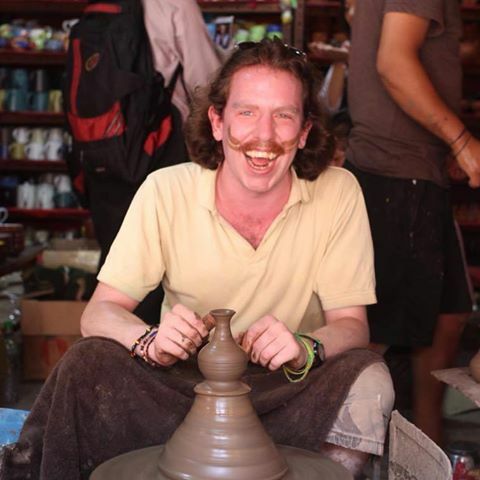 Perfectly cast in our opinion, as Ed’s tea collection is the envy of all. 4th December 2018 – Peculiar Quiz 3: Let’s Get Quizzical!